Artificial leather manufactured by our company is extensively used in the footwear industry. We offer a wide variety of designs and textures which add up to the appearance and style that this industry has to offer. These products are used to manufacture formal patent shoes, sandals, boots, sports gear, slippers as well as women’s footwear. The main strength/mission of the company is to deliver products at economical prices with unmatched quality while providing unparalleled business service and experience. Faux leather is often considered as a lower cost alternative to genuine leather. It is important to consider the long-term value of your purchase. If You Want Fabric Digital Printing Find Them Here & Save Time and Money! 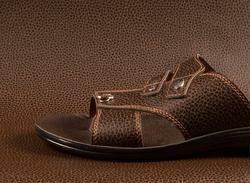 Our firm specializes in providing a colorful range of Footwear Synthetic Leather. This Synthetic Leather is available in various backing of Polyester, PV, Woven and Non-woven so as to design and manufacture footwear of various types. The entire range of synthetic leather is tested on well-defined quality norms to ensure flawlessness. Moreover, we offer synthetic leather in different colors and designs as per the requirement of client at reasonable prices. We cater our wide range of Artificial Patent Leather which is made of special quality raw material and are broadly used in various domestic markets. This leather is mainly used for covers for furniture, tables and chairs. The offered leather is made available in numerous designs at reasonable costs. Apart from this, we are offering this leather in the optimal quality material in order to keep them safe and damage free. We are one of the most diligent firms offering best in class SIF Fabric. Designed and manufactured by modern-age technology, these fabrics have found intensive use in footwear industry. Moreover, owing to their superior finishing and optimal tear strength, these are well demanded in the market. We have with us wide variety available to meet the precise needs of customers.